Today I’m going to blog about a problem we recently solved in a client’s cube, an error in the Mdx script that’s very easy to make if you aren’t careful. We’ll run a simple example in AdventureWorks (what else?) to demonstrate the issue. This screenshot shows a couple of simple XLCubed Grids showing the real value, and below the percentage change. 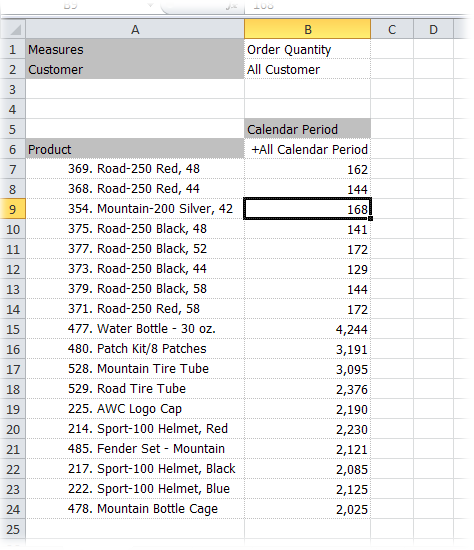 I have added in an Excel calculation to show the results are as expected. 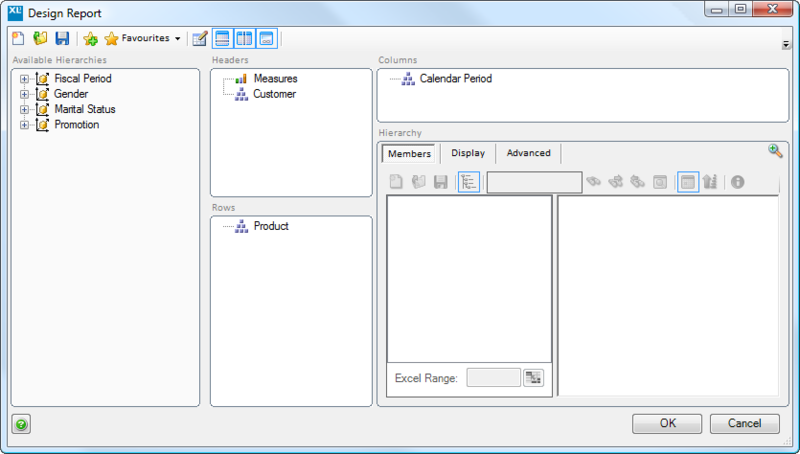 Later during the cube development, the client added a calculated member in their Product dimension, one that gives a total excluding one of the product categories. And if we run the report again we get the following. Notice the cell I’ve highlighted. The “All Ex Bikes” calculation works fine on the normal measure, but it gives totally the wrong number for the percentage calculation. What’s going on? The problem is that in the cell highlighted Analysis Services has two calculations to think about when working out the result. As the number returned is 1.85% we can see that Analysis Services has chosen the second option, “Grand Total” – “Bikes”. What we really want is for the calculation to be done by getting the subtotal, and then doing the percentage change based on that. Fortunately the fix was a simple one. Analysis Services will run the calculations in the order they are found in the Mdx Script, so to fix the issue we simply moved the new “All Ex Bikes” definition up above the percentage calculation. Now the number returned matches our expectations. Pass/Solve Order can be a complex topic, so you may need to be careful. In this case the number is totally wrong, so it was easy to spot, but some bugs will be much more subtle, so watch out! 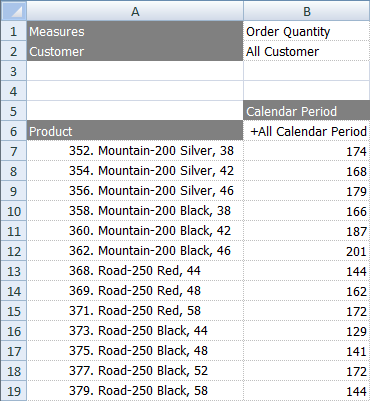 Once we have returned cube members into a grid report we often need to exclude or change the order of the result set to provide more meaningful information. MDX (Multidimensional Expressions) language includes some very useful operators to provide filtering (FILTER), sorting (ORDER) and ranking (TOPCOUNT/BOTTOMCOUNT) of dimension members. These can be quite overwhelming even for power users of XLCubed. 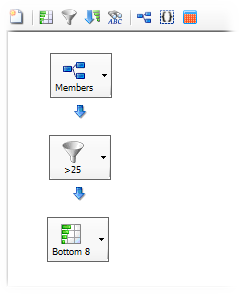 So, in V6, we have introduced a new feature “Advanced Member Selections” to provide easy access to this powerful part of Microsoft Analysis Services. 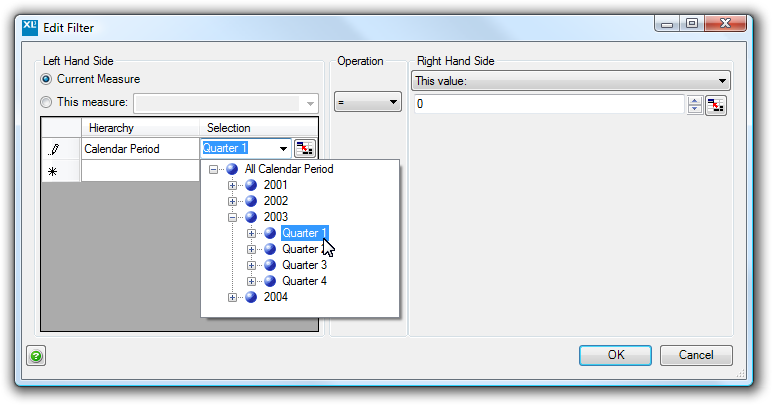 Using this new functionality we can nest and combine these operations to answer complex business questions (for simpler operations you can right-click on a member in the grid and use the “Apply” menu to perform simple ranking, filters and sorting). So let’s go through a simple filtering example. Say, for example, that we want to find the products at Product Key level that sold more than 25 units in 2003, Quarter 1 and show the sales figures for those subcategories during 2003 and its quarters. Drag Calendar Period to Columns and Product to Rows. You can also drag any other hierarchies to Headers. 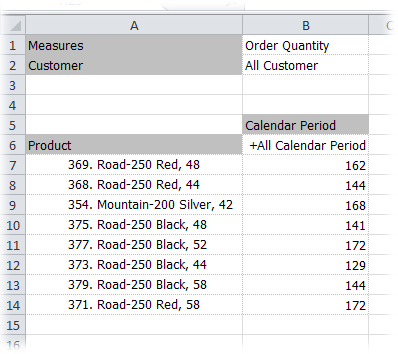 In the example image below, Measures and Customer have been added there. 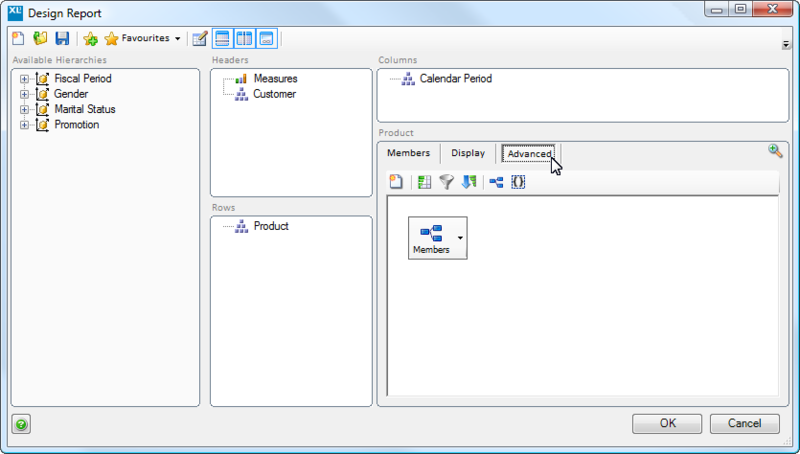 Click on the Product hierarchy so that its details appear in the bottom-right panel. 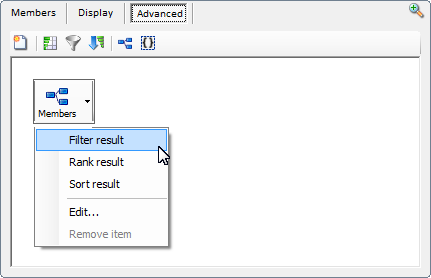 Drag the Product key level over to the right of the dialog. 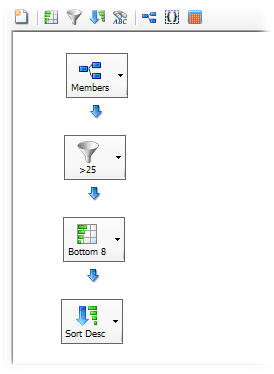 You can switch between the members view and levels view by clicking on the Show Levels icon (). 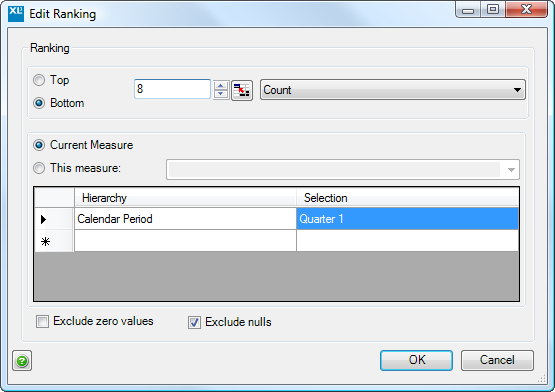 Select the This measure radio button, and select Order Quantity as the desired measure. So we can see the results, filtering by 2003 Q1, but displaying the values for All Time (or any other period we wish to use). 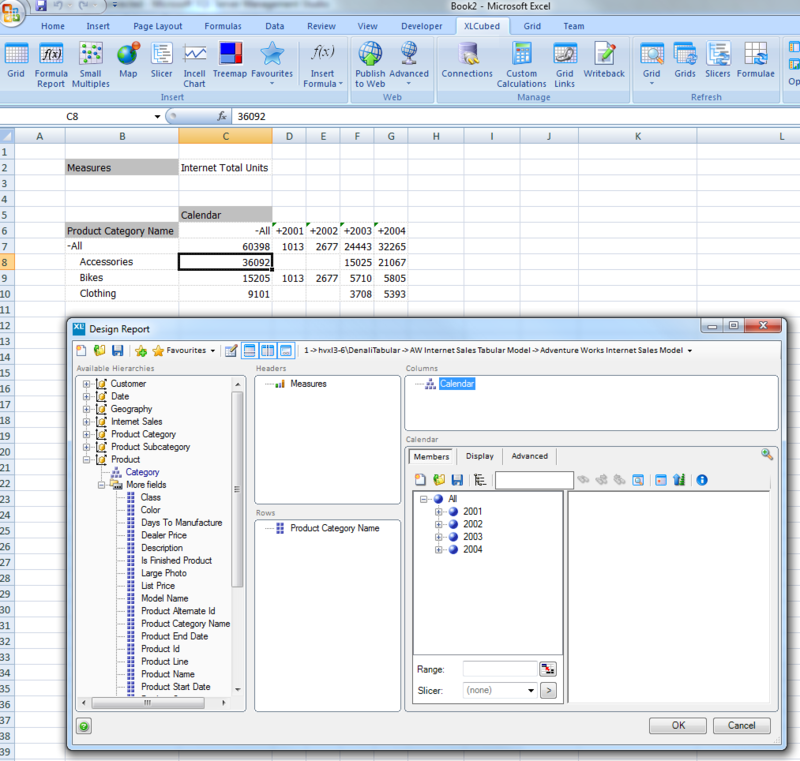 We could have also used the Range selector: to drive the period selecting from an Excel Range and our grid would automatically refresh whenever the driving value changes. 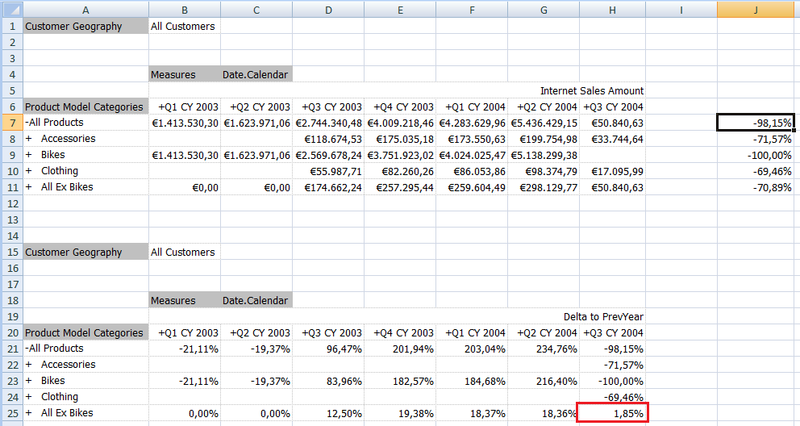 Now let’s sort the report on a different dimension – for example, descending order of the Q1 sales. It’s also possible to join different results together: combining both sets (UNION), excluding members (EXCEPT) and returning common members (INTERSECT). So the “Advanced Member Selections” feature provides lots of the power of Analysis Services in a simplified way – to try this feature for yourself you can begin by downloading XLCubed. Parent-child hierarchies are a good fit for many data structures such as accounts or employees, and while they can speed development in some cases, they can also cause performance problems in large cubes. We often see customers with these type of performance issues, and thought it worth sharing a simple technique for altering the dimension structure to improve query speed. Often parent-child hierarchies are created as this is the structure used in the relational source, so they seem a good fit to model the members. In many cases though data is only at the leaf level of the hierachy, meaning parent-child isn’t really needed. Parent-child hierarchies are hierarchies with a variable number of levels, as determined by a recursive relationship between a child attribute and a parent attribute. Parent-child hierarchies are typically used to represent a financial chart of accounts or an organizational chart. In parent-child hierarchies, aggregations are created only for the key attribute and the top attribute, i.e., the All attribute unless it is disabled. As such, refrain from using parent-child hierarchies that contain large numbers of members at intermediate levels of the hierarchy. Additionally, you should limit the number of parent-child hierarchies in your cube. If you are in a design scenario with a large parent-child hierarchy (greater than 250,000 members), you may want to consider altering the source schema to re-organize part or all of the hierarchy into a user hierarchy with a fixed number of levels. 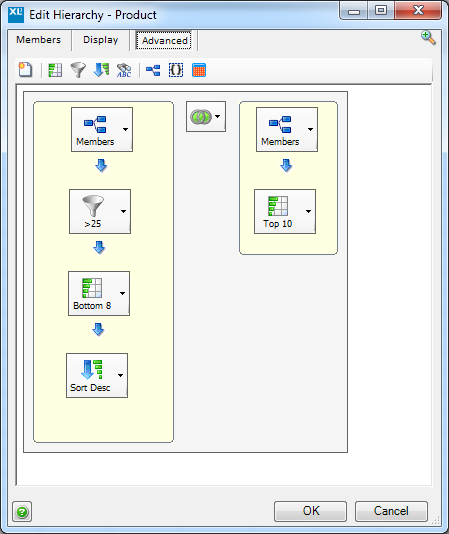 Once the data has been reorganized into the user hierarchy, you can use the Hide Member If property of each level to hide the redundant or missing members. The performance guide hints at re-organizing the hierarchy to improve perfomance, but doesn’t say how. This article will walkthrough the steps needed to change your parent-child hierarchy structure to have real levels, so that aggregations work, and your performance is as good as you expect with normal hierarchies. This process is known as flattening or normalizing the parent-child hierarchy. Firstly, let’s look at the data in our relational source. Not a large dimension, but enough to demonstrate the technique. As you can see my real products are all at the leaf level. 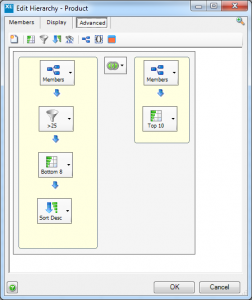 Create a view to seperate the members into different levels. Create a new dimension using these real levels. Configure the dimension to appear like the original parent-child dimension, but with the performance of a normal dimension. We want to create a denormalised view of the data. To do this we join the Product to itself once for each level. This does mean we need to know the maximum depth of the hierarchy, but often this is fixed, and we’ll build in some extra levels for safety. Use coalesce() so that we always get the lowest level ID below the leaves, never a NULL. This allows us to join to the fact table at the bottom level of our hierarchy. 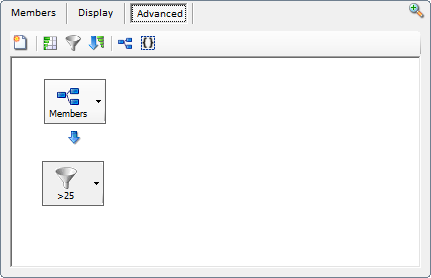 Leave Name columns null below the leaves, this will allow us to stop the hierarchy at the correct leaf level in each part of the hierarchy. Obviously we can update this view to create more levels as required, but 5 are enough for now. Next we go to BIDS, and add the view to our Data Source View, and then add a new Dimension based on the view. Set the key attribute to Level5ID, and the name to Level5Name. 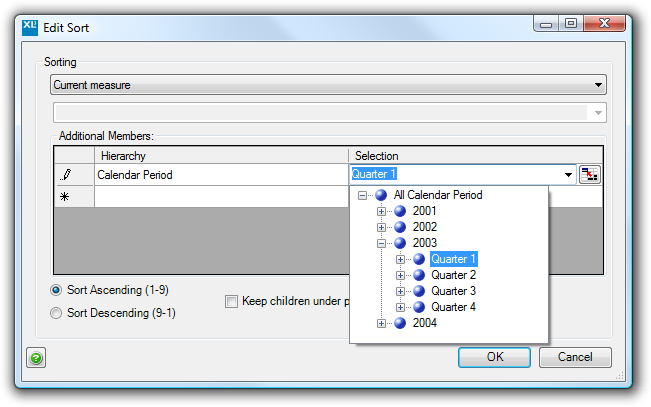 Create an attribute for each Level ID, and on each set the Name Column appropriately. Create a hierarchy using these attributes in order. On each attribute set AttributeHierarchyVisible to False. On each level of the hierarchy set HideMemberIf to NoName. 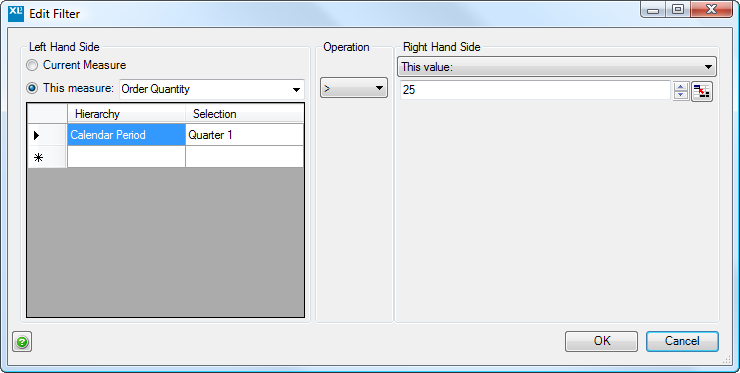 Set up the Attribute Relationships between the levels. If you browse the dimension you’ll see that it never goes as far as level 5, even though it exists. 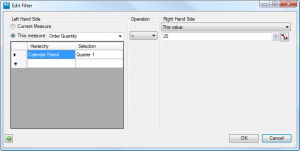 This is becuase we set up the member hiding option, and returned NULLs in our view. And that’s it done, you can now join to your fact tables at the lowest level, build your cube as normal and get the performance benefits of aggregation! A tool to achieve the same result is available from Codeplex, we’ve not personally tried it but may well be a timesaver. This works in a similar way to the example above, but it’s often useful to understand how something works, even if you choose to automate it. 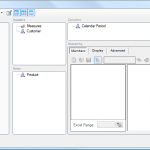 So, what’s an OLAP Cube, anyway? I like this simple, non-technical definition: a cube is a set of predefined answers. It’s up to you to select the right questions. Imagine that you have a very large database with the usual business data: orders, customers, sales representatives… Now you want to know how much a customer category ordered over the last year. You query the database and you get the answer. Then you want monthly sales. Query it again. Dig a little deeper to see what products that category ordered. Query it once more. What is happening behind the curtain? 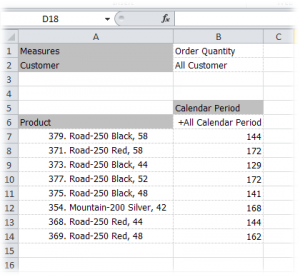 Each time you enter a new query the system looks at each transaction (or a subset) and performs the necessary calculations to answer your query. You’ll get your answers, but it will be painfully slow: depending on your query and the database size, it may take hours. It is not an option. But you don’t really need to see each individual order, do you? 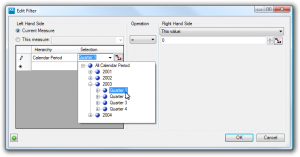 If you only need to know monthly sales, why should your system go through each transaction? If you pre-aggregate that data, you’ll get your answers much, much, faster, because there aren’t five million records, just 100.000. You’ll be able to actually work, instead of staring at your monitor, waiting for an answer. This is what a cube does. It provides faster answers by eliminating the unnecessary detail for the task at hand. You shouldn’t look at a cube as an unique, condensed version of the database. While you have a virtually infinite number of questions that the database can answer, a cube focus on providing answers to a small set of questions. 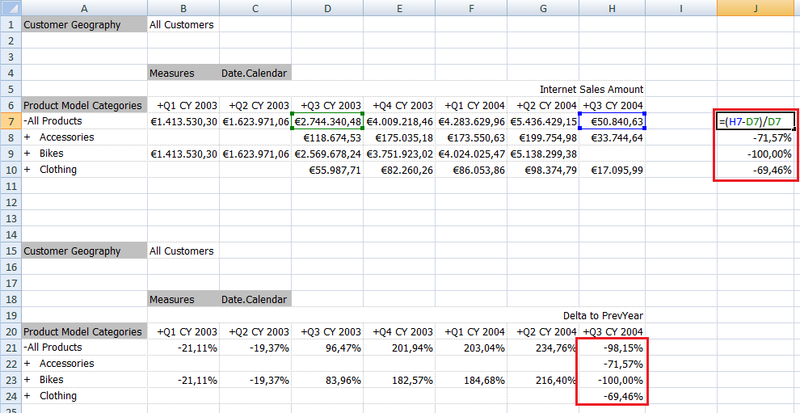 That’s why you can have different cubes (marketing, fin, sales), all of them getting data from the same source. They all answer different sets of questions. When designing a cube (it’s your job, not IT’s), resist the temptation of a one-size-fits-all cube. Clearly define a coherent set of questions for your fundamental business needs and make sure they are answered once the cube becomes available. If you are exploring your data you will not want to wait one hour each time you make a change. On the other end, a fast cube with no data to explore is useless. There is a fine balance between maximum flexibility and maximum performance. An OLAP cube not only ensures that you retrieve the right data from the database but also allows you to explore it efficiently. 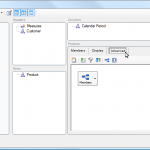 Two good reasons to add OLAP cubes to your toolbox. 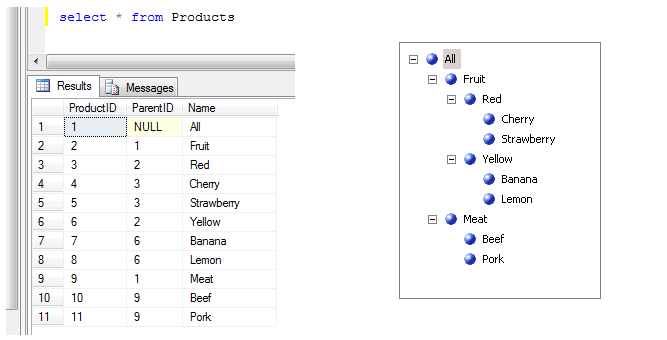 Next time we’ll see how plain English can describe the structure of a basic OLAP cube.